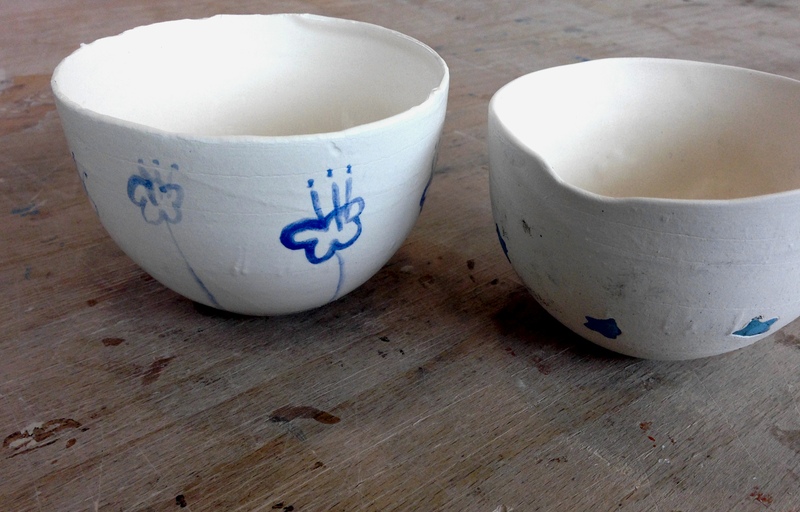 What I like about that ‘Hawthorn’ trial is the way that in the bowl on the right there’s a star that seems to be … INSET ! Is that an underglaze…? 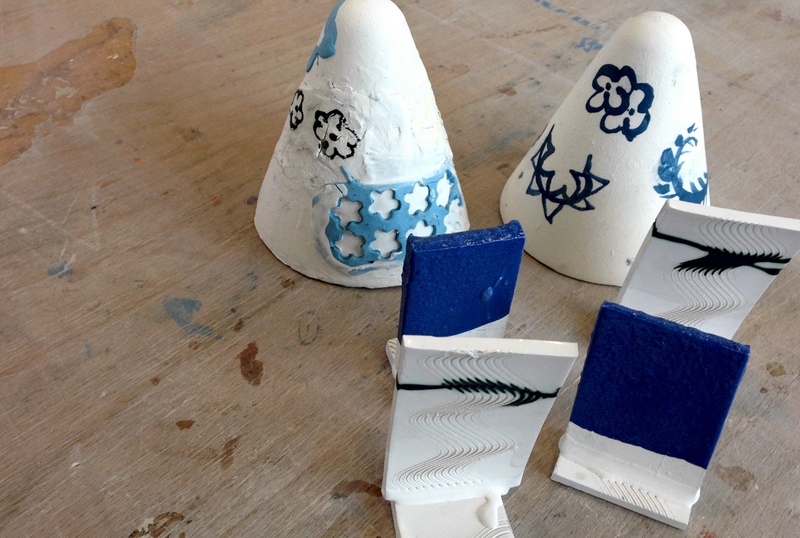 The test on the left is painted in underglaze but the test with the inset shapes is done with slip. There ! – I’ve learned something ! :-) It’s lookng really good, Isobel.